Marjoram is actually a member of the mint family, although its delicate flavor is closer to that of oregano. If you have a lot of garlic to peel, make your job easier by loosing the skins. Place a whole head of garlic on a paper plate, and microwave on High for 1 minute. 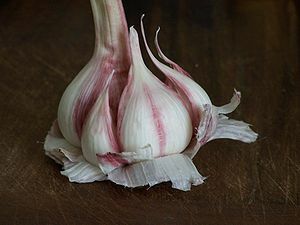 Let the garlic stand in the oven for 1 minute and then separate the cloves. When cool enough to handle, you can then peel. Every stick of butter contains about 3/8 tsp of salt. 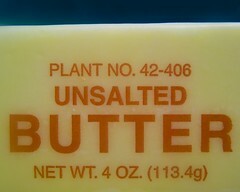 If you are trying to reduce your sodium intake, you may want to look for unsalted butter.